I will miss him. 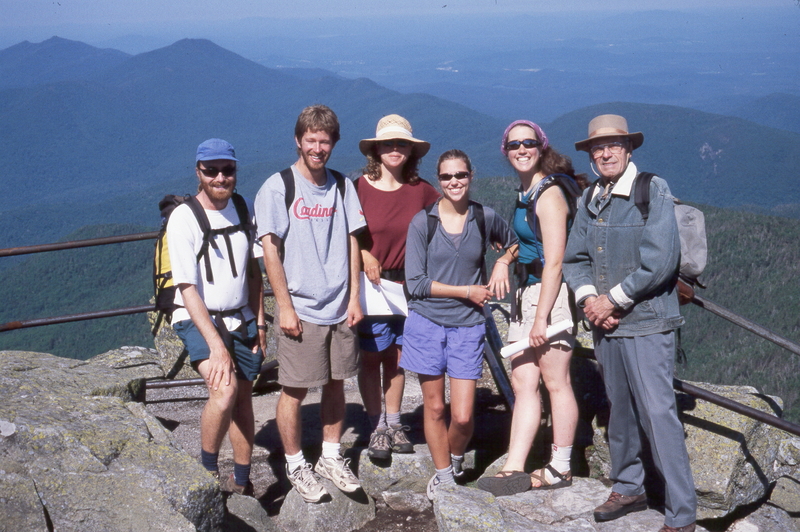 Below is a photo of Ketch (on the far right) I took in June of 2001 on one of our trips together to Whiteface. This entry was posted on July 9, 2010 at 5:02 am and is filed under People. You can subscribe via RSS 2.0 feed to this post's comments. You can comment below, or link to this permanent URL from your own site. I Loved Ed Kethledge, how sad to hear of his passing. I had an opportunity to do a PhD under him on mosses of sun and shade in the Adirondacks and to this day, on some levels, I regret not taking that opportunity. But I certainly enjoyed 3 semesters of dendro, and all the other courses I took from him.